One of the first recommendations most pregnant women get from their doctor or midwife is to begin taking prenatal vitamins. In fact, some doctor’s actually recommend taking vitamins while you are trying to get pregnant in order to prevent certain birth defects. While taking vitamins during pregnancy and breastfeeding protects you and your baby from nutrition deficiencies, they are not miracle pills. Vitamins alone can not provide you with all the nutrients you need during pregnancy. It is vital that you also maintain a healthy diet, with plenty of variety, while taking prenatal vitamins. In fact, most vitamins work best as a supplement to a good diet. It is also important to know that not all prenatal vitamins give you everything you need. Pregnant women generally need between 1,200 and 1,500 mg of calcium a day yet the average prenatal vitamin contains only 250 mg. Therefore it is important that you drink enough milk or consume enough dairy products to meet your daily calcium needs. Some prenatal vitamins can also give you too much of a good thing. Too much vitamin A can cause birth defects, so it is crucial to make sure that your vitamin contains no more than 10,000 IU. Also, you may want to avoid a vitamin with too much iron as that will not absorb properly. 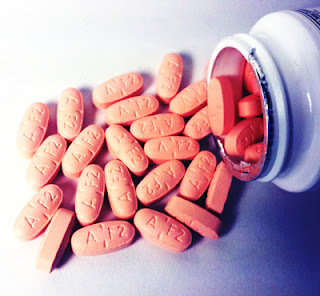 When it comes to choosing a prenatal vitamin, prescription is not always best. There are plenty of over the counter vitamins available, some of which are actually preferable to prescription vitamins. The key is making sure that whichever vitamin you take works best for you. Every woman is different and not all women can tolerate the taste and texture of all prenatal vitamins. If you have trouble keeping your vitamins down, consider changing to another brand. Prenatal vitamins are an important element in a healthy pregnancy. Make sure to get your pregnancy off to a good start by consulting with your doctor or midwife and determining which vitamin works for you. And don’t forget to maintain a well balanced diet and a regular exercise routine as well. The more you can do to insure good health now, the better for you and your baby in the long run. Once you have selected a care provider, it will be time to begin your regular routine of prenatal care. In most cases, the initial appointment will take place at around 8 weeks. This will be a lengthy visit as your doctor or midwife will need to get a thorough medical and family history, your menstrual history and a general feel for your health and your lifestyle. At this time your doctor or midwife will also want to run some initial clinical tests including a pap smear; blood work to determine the presence of conditions like HIV/AIDS; a blood pressure reading; urine screen; breast exam and weight. Some of these, such as blood pressure and weight, will be repeated at each subsequent visit. As you progress through the pregnancy, your provider will begin to check Fundal height and beginning around 12 weeks, will listen for the baby’s heartbeat. Your appointments will generally be scheduled every four weeks for the first 28 weeks of pregnancy, every 2 weeks until 36 weeks of pregnancy, every week until 41 weeks and then every few days until you give birth. This may vary from woman to woman and if you have any complications which develop. For some women, further testing may be necessary including Glucose Tolerance testing; Amniocentesis; Non Stress testing and Ultrasound, which is not routinely done for all pregnant women. However your care progresses, the most important thing is to remember that you are an active participant in the process. This means you need to remain fully informed and you should never hesitate to ask any and all questions which may occur to you. If you are worried about forgetting what you want to ask at your next visit, write your questions down when you think of them. Also, be sure to bring someone else along with you to your visits as it can be helpful to have a second person hear the answers to avoid miscommunication. Getting proper prenatal care is vital to maintaining a healthy pregnancy, so it is important that everyone involved is on the same page. Remember, you are all in this together and the better you work together, the better your chances of having a smooth and easy childbirth experience. The acai berry diet has been phenomenally popular over the past few years for its spectacular results and incredible health benefits. The acai berry has been dubbed a superfood because of its high levels of micronutrients. It has one of the highest levels of antioxidants in any natural product. The reason it works so well as the basis of a diet is that it balances the metabolism so that instead of storing excess food as fat, has a thermogenic effect and actually causes the body to burn fat. The acai berry was long known in only one small area of the Brazilian Amazon. Among the native populations of that area it makes up as much as 42% of their traditional diet. These people have few problems with circulation, almost no cancer and are long-lived. But most significantly, the idea of being overweight is simply unknown. If that’s what the acai berry diet can do for them, then obviously it can do it for you as well. When you take acai berry as a supplement to your diet, you’re getting the benefit of the high levels of anthocyanins and flavonoids these little berries contain. They also have nineteen different amino acids and are packed with vitamins and minerals. This means that you are able to lose weight naturally, with no synthetic supplements, while this little botanical powerhouse also repairs damage at the cellular level and keeps you filling fit. Best of all, because your metabolism is rebalanced by this super supplement, you’ll never feel hungry. Of course when you’re on the acai berry diet you’ll still need to control your food intake. But it’s important to think about why we overeat and why we have hunger cravings for the wrong kinds of food. It’s because our years of eating badly have put our metabolism completely out of balance and so we have virtually trained ourselves to eat the wrong kinds of food. As soon as we rebalance our metabolism, our appetite follows and we quicklySuperfood superdiet find that we no longer crave excessive quantities of fat and sugar. Instead we regain the natural appetite for the foods our bodies have evolved to digest. And that’s what the acai berry diet achieves: by returning our body chemistry to a normal and natural state, we automatically lose all those bad appetites and become instinctively conscious of what we need to eat for ideal weight and health. All of this might sound too good to be true. But hundreds of thousands of people have already benefited from the acai berry diet and proved that not only does it encourage a dramatic and sustainable weight loss, it also restores our body to a normal and natural state of health by combatting all the negative stresses our bodies are subject to in the modern world. The health benefits of the acai berry diet have been proven in scientific studies. And if you want to see its dramatic effect on weight loss, just remember those Amazon natives. There are as many ways of losing weight as there are ways of putting weight on. That might sound a bit simplistic, but it’s true. And that’s why it’s important for people to find the right diets for weight loss. There are literally thousands of diets for weight loss. There are the big corporate plans like Weight Watchers and Jenny Craig. There are the proprietary diets like the South Beach Diet, the 17 Day Diet and the Pritikin Diet. And then there are the metabolism manipulating diets like the Carbohydrate Diet or the Atkins Diet. Finally there are the gimmick diets like the Blood Type Diet or the Bread Diet. Which one of these diets for weight loss is right for you? It’s important to realize that most diets which work rely on one simple principle, and that is changing your eating habits so that you take in less calories in food than you expend in energy. It’s that simple. Everything else is really a repackaging of that one simple principle. But let’s not underestimate the benefits that this repackaging may bring. If you’ve ever tried to lose weight by straightforward counting of calories, you’ll know what a depressing business it can be. Every morning you have to plan all your food for the day: how many calories you can have at each meal, whether you need to save a few calories to drink a glass of wine at the end of the day, what foods to substitute if you suddenly find that what you’d planned to eat for dinner isn’t available in your local store today. It’s a minefield and you have to be prepared to devote a significant amount of planning and thinking each day to it. And then there’s the guilt when you count up your calories at the end of the day and find you’re a few hundred over. It’s already a stressful business losing weight, and we don’t need all that extra stress on top of it. That’s where the ready made diets for weight loss come in. Many of these are subscription plans that you’ll pay a lot of money for, but not all. 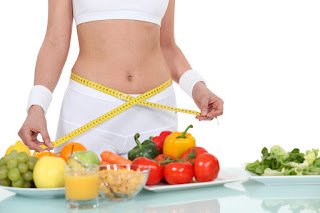 There are some very good diets which Right diets for the right weight lossare available absolutely free on the internet. In fact, many of these are absolutely identical to the commercial diets except that you don’t have to pay for them and you don’t have to buy expensive packaged food sold especially for that particular diet. Just because you need to lose weight doesn’t mean that you have to lose money as well. So choose diets for weight loss carefully and you’ll be successful at losing those excess pounds and you won’t lose any money in the process. In fact, if you play your cards right by choosing the right plan, you’ll even save money because you won’t be buying all those expensive snacks and junk foods that have brought you to the point where you have to lose weight. We all love spontaneity, right? It’s an important element in many human social and creative areas, as well as in business. It’s important to be able to improvise and to act instinctively in response to sudden changes in circumstances or to react to unexpected events. But there are areas of life where spontaneity isn’t helpful. Like spontaneously feeling the need to eat half a pound of chocolate at three a.m. or a couple of hamburgers for breakfast. In fact eating spontaneously is probably very largely responsible for the enormous increase in obesity and overweight that we’ve seen over the past half a century or so. There was a time when people sat down to eat three or four times a day at fixed times and ate more or less the same amount each time. Now we’re used to eating on the run, grabbing something whenever we feel hungry, or whenever our stomachs are empty, which isn’t necessarily the same thing. So now, because of our spontaneous eating habits, we find ourselves overweight and we need to do something about it. But that’s not a situation that calls for spontaneity; it’s a case for some serious planning and that’s when it become time to choose one of the many available diet plans for weight loss. Or, alternatively, to design our own diet plan. Either way, planning is the significant word here. There are many diet plans for weight loss available today. As the problem of obesity has grown, so has the weight loss industry. There’s a serious amount of weight loss research which has been carried out around the world in the past few years and, if we’re clever, we can incorporate much of that into planning our own diet plans for weight loss or simply using one of the many plans which have benefited from all that research. Much the same thinking applies to choosing diet plans for weight loss that require us to eat food that we actually enjoy eating. If you’re someone who really needs a chocolate fix now and then, find a plan that allows you to do that. There are many diets which have the kind of flexibility which allows us an occasional indulgence and this can be important for morale. With those two criteria in mind, it’s not difficult to make a selection from among all the available diet plans for weight loss. With obesity and overweight becoming a bigger problem all the time, diet pills are big business. And that means that if you’re looking for diet pills to help you lose weight, you’re faced with a bewildering choice of products. It’s important to be able to choose the ones that are the most appropriate supplement for your particular problem. There are scores of different reasons why people put on weight. Apart from a few rare medical conditions, which should always be treated by a doctor, most of those are to do with the foods we eat. We eat the wrong kinds of foods and too much of them. Our diets are high in fats and sugars and processed foods, none of which are part of our natural diet. But it’s almost impossible, unless you have your own farm, to avoid these foods, because we have evolved socially to eat that way and can’t do much about it. So when we’re looking for diet pills, we’re looking for something to counteract these bad ways of eating. That means that we’ll usually be looking diet pills to deal with two main kinds of problems. The first is overeating – we need a supplement that will rein in our out-of-control appetite and let us eat smaller quantities of food without feeling constantly hungry or experiencing the kind of energy drain which results from many weight loss diets. 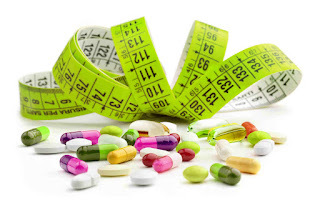 The second thing we look for in diet pills is a way to rebalance our metabolism so that we digest and metabolise food in a way which more closely resembles the natural ways our bodies have evolved to do. The ideal diet pill will combine both of these functions in one. And in fact, if we rebalance our metabolism, our appetite should naturally follow. So when we look for diet pills, we shouldn’t be looking for synthetic products that will manipulate our bodies into losing weight without addressing the underlying problem of the unbalanced state of our metabolism. So how do we select the diet pills that are right for us? There are a few criteria we should apply to our choice. 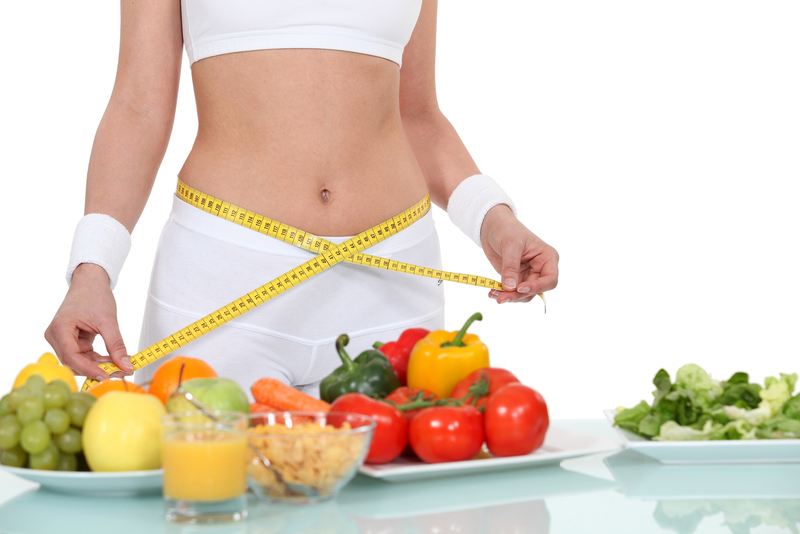 First and foremost, we should make Picking the right diet pills for weight losssure that they are effective. Have other people lost weight on these pills? One of the best ways of ensuring this is to check whether the pills are made by a reputable company. If we have heard good things about the company that makes them, then we can usually be sure that the diet pills are both effective and safe. This also applies to the quality of the ingredients. If they are made by a reputable company, we can be reasonably sure that only the best ingredients go into them. There are two more criteria that are important. We should ask whether the diet pills we’re considering give long-term results or are just intended for quick weight loss. And finally, check the price. Once again, reputable companies will usually sell their products at a fair price. Have you been putting off losing weight until you have the money to join some fancy weight loss service? Or have you been saving up for months to buy one of those expensive milkshakes to substitute for meals? It’s very easy to be conned into thinking that you have to pay a lot more money to eat a lot less calories. The truth is that you should be paying less to eat less. So don’t let anyone exploit your extra pounds: exploit them yourselves by buying and eating less food with the help of one of the excellent free online diet plans that are available. There are as many free online diet plans as there are ways to lose weight. And most of these have something to offer. 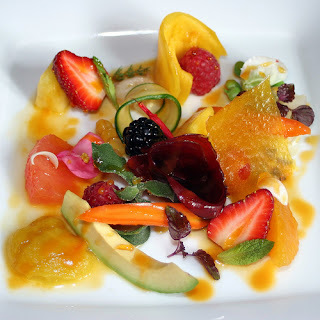 The real art in selecting a diet plan is to find something that suits your lifestyle and your taste. There’s no point in selecting a diet plan that requires you to eat three home cooked meals a day if you spend your whole working day on the road. Or choosing a plan that calls for you to eat cabbage twice a day if you really hate the stuff. This is one of the great advantages of there being so many free online diet plans around today. You can check out as many as you like and you’re sure to eventually find something that’s right for you. It’s also pretty valuable to think about why you should choose free online diet plans over the ones that you have to pay for. It’s because they’re basically offering the same thing. And the chances are that the free ones will actually be better because, in many cases, the diet plans that you have to pay for are published by big companies who want to sell you something. Like their own miracle supplement that you need to make their diet plan work. Or the expensive exercise equipment you need to go with your diet and which they just happen to sell. So by choosing a free online diet plan, you can be pretty sure that it contains all the right nutritional guidelines without being tailored to convincing you to buy something. The other element to consider in your choice of free online diet plans is common sense. Read the site offering the plan carefully and especially study the reasons why that diet Lose weight free with online diet plansworks. Does it make sense? Or is it full of pseudo-scientific jargon which intimidates you into making bizarre food choices? A good weight loss diet should be balanced and contain lots of natural and healthy food choices. So if you see a diet plan which, say requires you to eat foods starting with the letter “M” every Monday and so on during the week, you would be right to be suspicious. But with a little common sense, you can be successful in choosing a diet from among the thousands of free online diet plans available these days. Thanks to modern diets, many of us have developed coeliac disease, which is an allergic reaction to a protein called gluten. This reaction occurs in the small intestine and interferes with the absorption of nutrients. It can have many symptoms including diarrhoea and fatigue and, most significantly, weight loss. The only way to combat is to follow a gluten free diet which eliminates all food sources of gluten. Paradoxically, the same diet can be used for weight loss. Gluten is found naturally in many grains. These include barley, rye and triticale. But the most important source of gluten is wheat, and that makes it very difficult to eliminate from our diets. 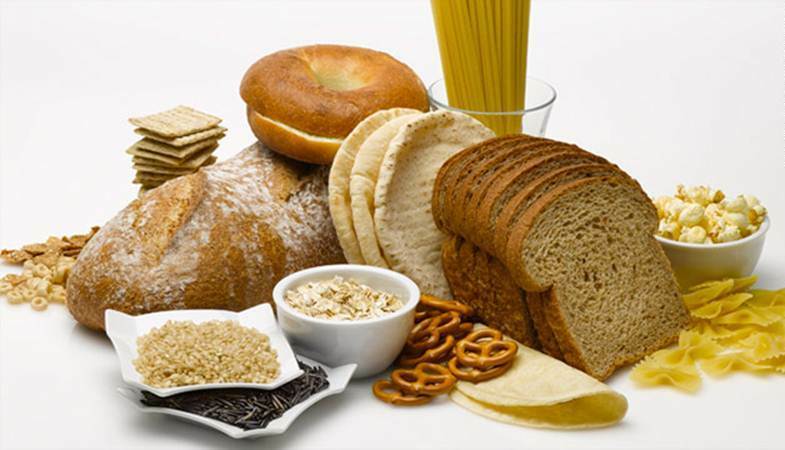 A gluten free diet must avoid any wheat products. Apart from the fact that nearly all breads, pastries and other baked goods are based on wheat, gluten is a valuable thickening agent and is used both in the home and by food producers to add texture and body to other products. It’s what gives bread its elastic texture; it’s the thickening agent in most sauces and it’s what gives beer its body. So it’s essential to avoid all these products, even in small quantities, to follow a gluten free diet. The most difficult part of the gluten free diet is knowing what foods contain gluten. There are only two ways to do this. The first is to do a lot of reading so that you understand the role of gluten in modern food processing and can make a reasonable guess about whether a food contains gluten. The other is to find a gluten free diet from a reputable publisher and follow it religiously. This is the way that will suit most people, but it’s still important to understand which foods contain gluten and why. Obviously it’s easy to identify wheat and barley in many products, but you must learn to think about processed foods and what gives them their texture. What makes packet soups thick? Gluten. 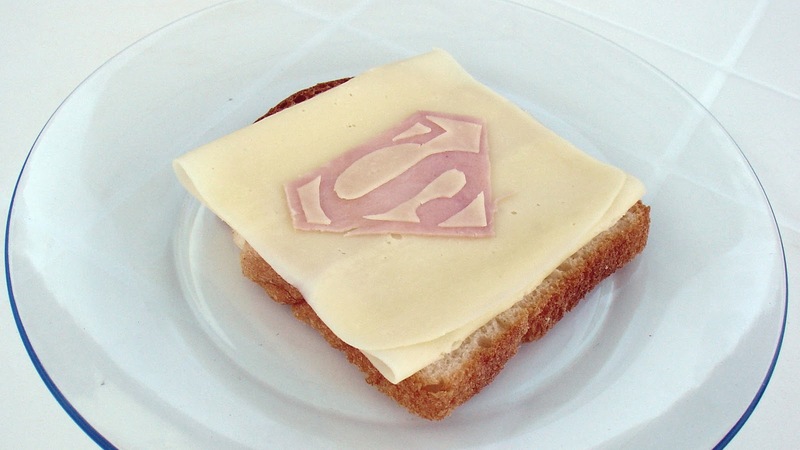 What is the filler in processed luncheon meats? Gluten. Even toothpaste and lipsticks may contain gluten to improve their texture. When you see how pervasive the use of gluten is, you’ll probably opt to find a good gluten free diet plan and stick to it, rather than having to check all the ingredients on everything you put into your mouth to see whether it contains wheat products or refined gluten in some form or under some obscure name. This may involve quite a radical rethinking of the way you eat, but once you discover the large range of gluten free foods, the diet is not particularly unpleasant or restrictive. On the contrary, you may discover many interesting foods that you weren’t aware of before. But what’s important is to use a gluten free diet from a reputable source. The gluten free diet is not intended as a weight loss diet. But it may be an option for people wanting to lose weight by imposing a useful process of education and discipline about food. Think about it!